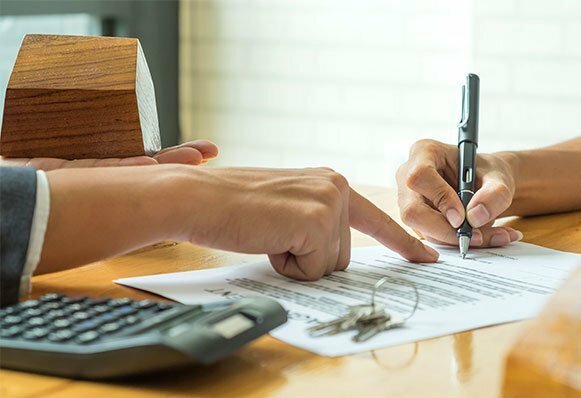 Residential landlords are having a challenging time at the moment coming to terms with the recent changes to tax relief, deductible expenses and reform of the wear and tear allowance. If you are a new residential landlord, you might be struggling to work out all the things you need to have in place from health and safety monitoring to maintenance checks to managing your tenant’s deposit correctly. Whether you are a new residential landlord with one property or an experienced landlord with lots of properties, don’t forget that it’s important to talk to an expert you can trust about your residential landlord insurance and make sure you have the cover you need. As a landlord your most valuable asset is probably your property so insurance for the building itself is critical. If you have purchased your property with a mortgage this insurance is normally a pre-condition before the mortgage is released. But do you know about residential landlord insurance? It is not the same as property insurance or buy-to-let insurance which only covers the property. Residential landlord insurance covers property owners for any losses and liabilities connected to the renting out of their property as a residence. Residential landlord insurance is designed to be an all-encompassing policy to cover all the things which a residential landlord might need insurance to cover. The policy can cover one property – or if you own multiple residential properties, it can cover them all together, often at a much better rate. Landlords have a lot of responsibility to keep the property they rent safe and free from health hazards such as ensuring the property has suitable gas, electrical and fire safety checks and measures. This responsibility is both to your tenant, visitors and members of the public if something from your building injures them or damages their property. This means you need to have suitable public liability insurance in case something like this goes wrong. If you employ anyone to look after your properties, you will also need employer’s liability insurance. If something breaks down or your tenant loses or breaks their key, will you have a managing agent to resolve it? If not, you might want to consider home emergency cover or key care insurance to make sure you can get things fixed quickly and prevent any further damage to your property. You also have a responsibility to provide your tenants with their home. What if something happens the building such as a fire or flood and they can’t live there anymore? Do you want insurance cover which will give them temporary accommodation or cover for your rental income to make sure you aren’t out of pocket? Many landlords rely on their rental income to support their own families – so you may need rent guarantee insurance. If you have furnished your rental property or provided carpets, white goods or other items – could you afford to replace them if they were damaged? What if your tenant damages your property on purpose or steals some of your property? To make sure you are covered for these eventualities you will need contents insurance or malicious damage cover. So once you have talked to an expert such as the team at Property Insurance Centre and arranged suitable cover for your personal circumstances, remember that if things change you need to have another chat to check your cover is still right. This could be if you buy or sell a property, or if you lose your tenant and have a vacant period for more than a month. Insurers don’t treat unoccupied residences in the same way as those which are occupied, so you may need a period of unoccupied building cover. If you need some advice don’t try to go it alone – just give Claire, Robert or Gavin a call on 028 91800561. Are you looking for Residential Landlord Insurance?